Home > Skincare Blog > You don’t have to live with hyper-pigmentation! Living in a sunny climate with a fair skin can cause sun-derived hyperpigmentation, freckles, and larger clusters of pigmentation in some areas. Pigmentation can be triggered by hormonal fluctuations, which is the most common cause, genetics, birth control pills, and injury to the skin, such as picking and squeezing the skin. But what really accelerate’s pigmentation is UV radiation from the sun. The sun stimulates the pigment cells (melanin), to secrete pigment to protect the skin. People are most at risk during the summer months, as they are enjoying the outdoor weather. Stress and heat have an inflammatory effect on our pigment cells, which makes them appear darker. The difficulty in answering the question of pigmentation is that there is not one clear answer to what the causes is, other than we definitly know it presents itself when we are exposed to the sun. Pigmentation is an uneven skin discolouration with brown spots, which are a huge concern for many people. This is usually a harmless condition in which patches of skin become darker in colour than the normal surrounding skin. This darkening occurs when an excess of melanin, the brown pigment that produces normal skin colour, forms deposits and clumps together in the skin. The different types of hyperpigmentation have different causes. For instance, age spots develop when you are frequently exposed to the sun. Dermatologists usually refer to these spots as solar lentigines or sun-spots. While age spots usually form on the face and back of hands, they can also develop on any areas that receive excessive sun exposure. As we age, there is a good chance we will begin to develop age spots on the face. They often begin popping up after the age of forty. These spots are usually black or dark brown and they can also be found on other areas that are exposed to the sun, such as the chest, shoulders, arms and hands. While age spots don’t pose any kind of medical problem, many people are unhappy with the way they look. Melasma has a similar appearance to age spots, but is spread out over a larger area. This form of hyperpigmentation most often presents itself with hormonal changes. This explains why it is common among pregnant women, as pregnancy is a time full of hormonal fluctuations. Women who take birth control pills are also at risk from developing melasma because these medications cause changes in hormonal levels. Changes in skin colour can be brought about by both internal and external causes. For instance, acne marks may result after a pimple has healed and dark spots may form after injuries. These conditions are usually referred to as post-inflammatory hyperpigmentation PIH. The skin has its own immune system, which reacts to the invasion or stimulation of the skin. These substances will increase and speed up the functioning of the melanin producing cells located in the epidermis, which will then release more melanin. In addition, the ability to transfer the pigment between the cells will also be boosted. This is what causes patches of discolouration. 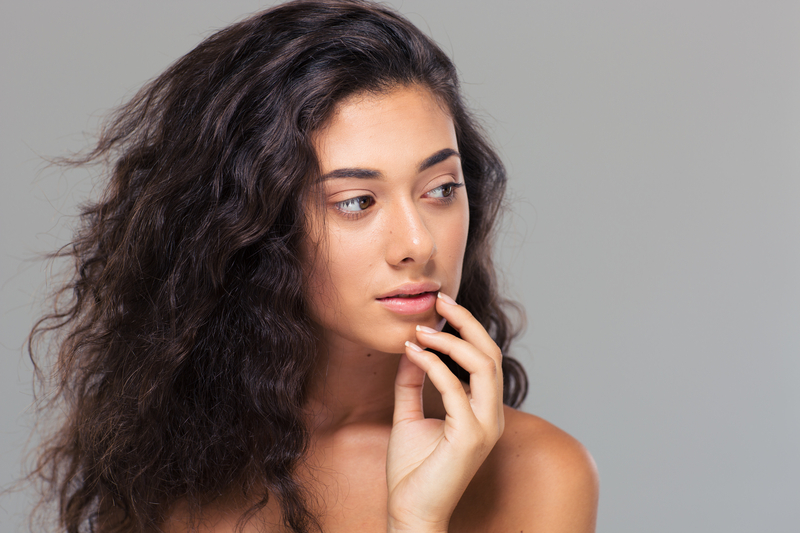 People who have darker complexions will suffer from PIH more commonly than individuals with fair skin, but anyone can be affected by this condition. Eventually, these spots can fade on their own; however this process can take months. Another type of hyperpigmentation is freckles, which is an inherited characteristic, with freckles becoming more prominent when skin is exposed to the sun. When it comes to freckles, prevention is very best. Using a natural zinc sunscreen at an early age and liberally applying it to any visible area of skin, at least thirty minutes prior to heading outdoors, is always the best answer for preventing freckles, especially if one’s skin is prone to freckle. Our liver plays a big role in our digestion, the conversion of foods into energy and the removal of toxins from our blood that affects the health of our skin. Without bile, our body cannot breakdown dietary fat, which can lead to a slow metabolism and cause patches of itchy, dry white skin. Liver damage inhibits the removal of toxins from the blood. As these toxins build up, they can cause your skin to become red, dry and inflamed. Dr Sandr Cobot is known as the Liver Doctor and says “not many of us relate the outer glow of our complexion to our liver health. Our liver is the metabolic factory of our body, which produces energy to sustain the thousands of functions performed every minute by all of your body’s cells. Our skin cells require energy to eliminate toxins and repair and regenerate them. Our heart requires energy to pump blood efficiently to our skin to maintain collagen production and oxygenate the cells to protect them from ageing. Good liver health should definitely be a consideration for you if pigmentation, ageing and skin irritations are a concern for you. There are topical skin care products that can help to encourage their fading, one in particular is not without controversy. Hydroquinone is a commonly used skin bleaching agent that inhibits Tyrosinase, an enzyme involved in producing pigment. The controversy around Hydroquinone revolves around redness and skin irritation, but some reports have shown it as possibly causing liver cancer and leukemia in rats. Countries such as Europe, South Africa, and Japan have banned its use, but in the United States, the Food and Drug Administration (FDA) still considers it safe and it is commonly prescribed by dermatologists. SuperNatural Skincare ingredients offer a safe and effective alternative for treating hyper-pigmentation and brown patches and don’t cause burning or damage to the skin. At SuperNatual Skincare we believe in a three fold strategy to help fade pigmentation. There are 3 essential products that are key to helping fade pigmentation marks, and NO short cuts can be taken. Age-Defying-Serum-1-30ml is our vitamin A (Retinaldehyde serum), which helps optimize skin cell health and function as well as speeds up skin cell turn over. Healthy skin cells regenerate new healthy skin cells, moving ‘old’ and dead skin cells from the lower layers of the epidermis to the upper layers to be sloughed off. As we age this process slows down, but using Age Defying Serum the process occurs naturally every 28 to 30 days. Skin-Repair-Plus-30ml is our potent vitamin C serum which is suited to ageing skin with sun damage and loss of elasticity. This powerful serum helps stimulate collagen synthesis and provide antioxidant protection for visibly firmer, younger-looking skin.